Are you among those people that believe that you need a nice and expensive juicer to make your own juice? Well, I was once one of those people and as I knew I was moving from one end of the world to another I didn’t wanna go and spend the necessary amount of money on a juicer and was therefore not making any juices. If you get hooked on the juice-without-a-juicer idea, you can check out my other my other juice recipes which includes carrot and clementine, clementine and orange, cranberry enegizer and the green vitamin bomb. Rinse the apples in cold water, remove the core and chop into smaller pieces. Place in a regular blender together with the cold water. Blend for a few seconds to give space to remaining ingredients (this is not necessary if your blender is big enough to contain it all). 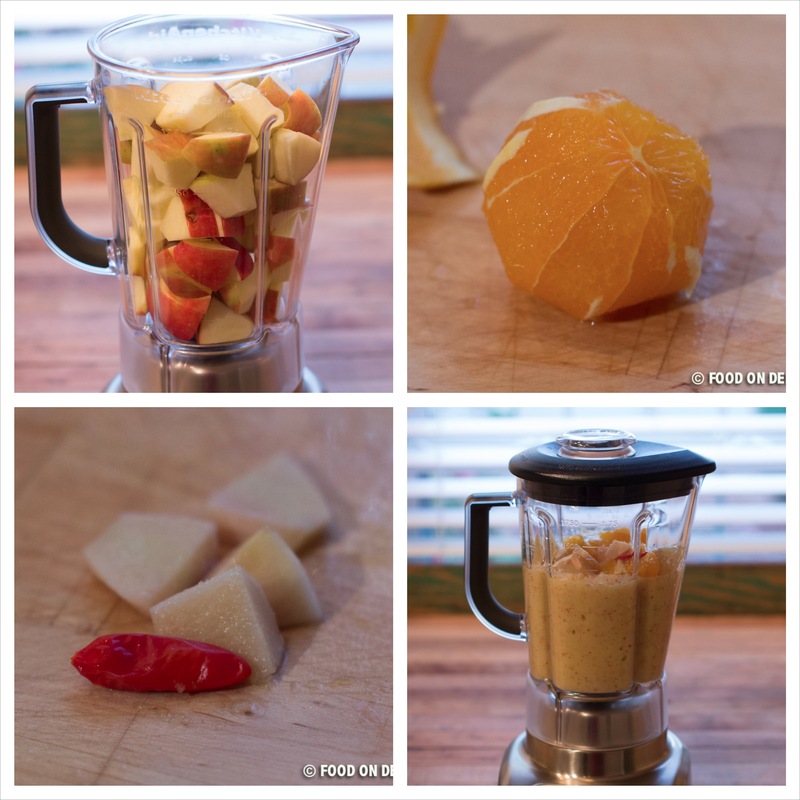 Peel the orange, lemon and ginger, cut it into smaller pieces and add it to the blended apples together with the chili. I have used a Tabasco chili, which gives it a little kick – not too much, not too little, but you can use any chili. Blend it all well together. I use the ‘liquify’ button on my KitchenAid blender for about 30 seconds. Find a bowl, a colander and a kitchen towel. It is important that it is a brand new kitchen towel that you only use for juicing and nothing else. 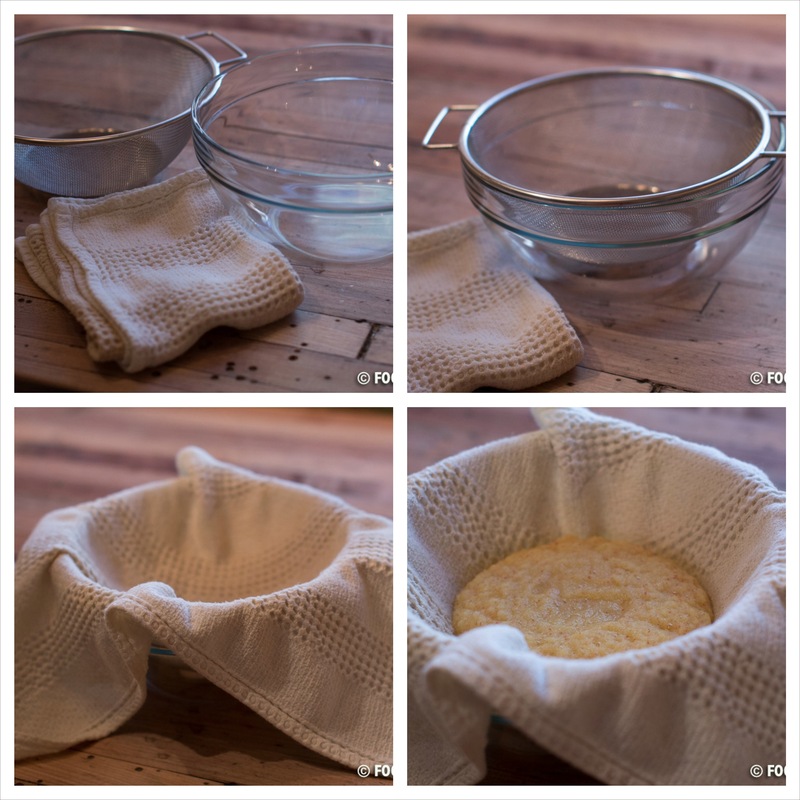 Place the colander in the bowl, cover it with the towel and pour approximately half of your juice batter into the towel. Use one hand to assemble the towel and the other hand to twist it around. Keep twisting to get all the juices out. 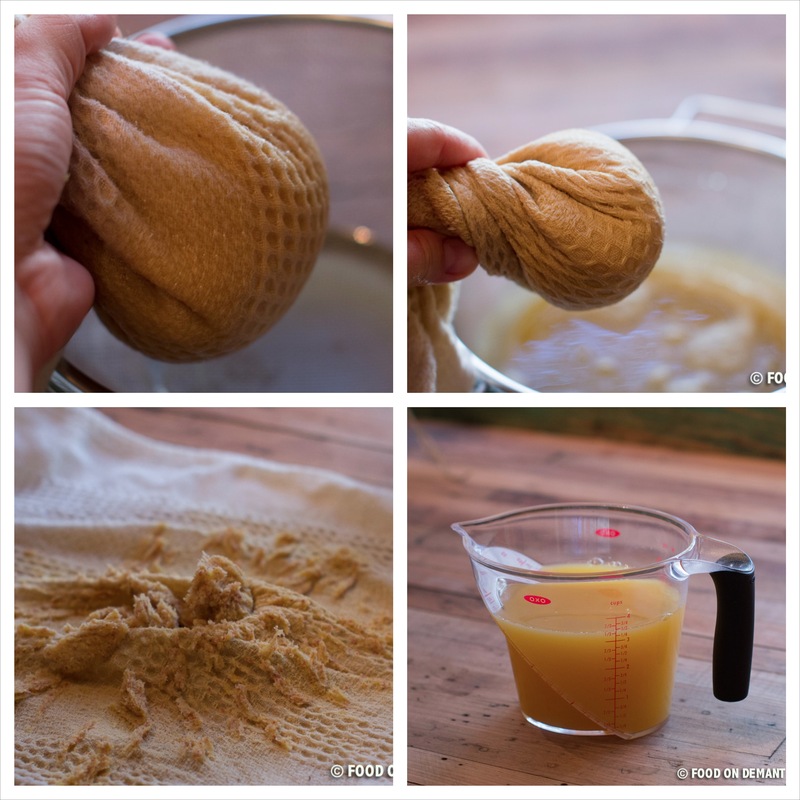 Remove the all the dry fruit from the towel and repeat the process with the other half of the juice batter. This portion makes about 3.5 cups (a lille less than 1 liter) and is enough for 4 servings. 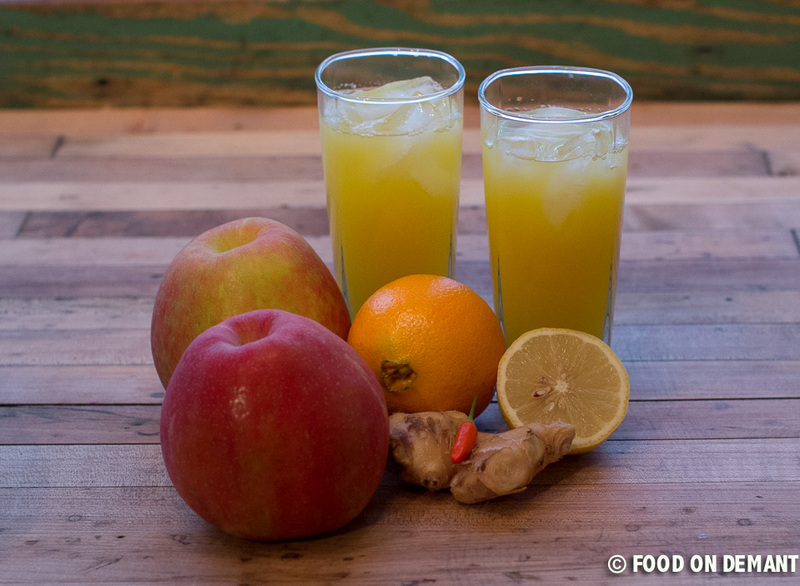 Let the juice rest in the fridge for an hour or two if you want a strong ginger taste. Otherwise you can serve immediately in a glass with a few ice cubes. If you have kids and plan on serving this juice for breakfast, you should consider leaving out the chili and only use half of the ginger.